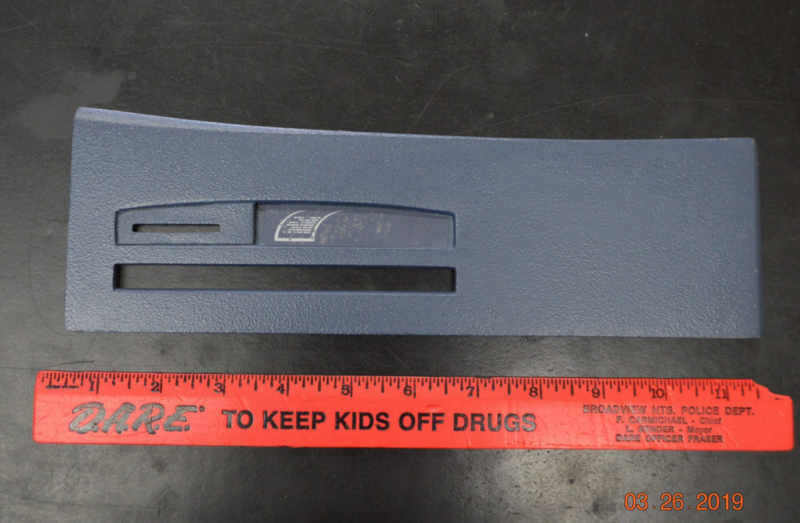 BROADVIEW HEIGHTS, Ohio — Skimmers on ATMs and gas pumps are out there, and the Broadview Heights Police Department wants you to be aware. 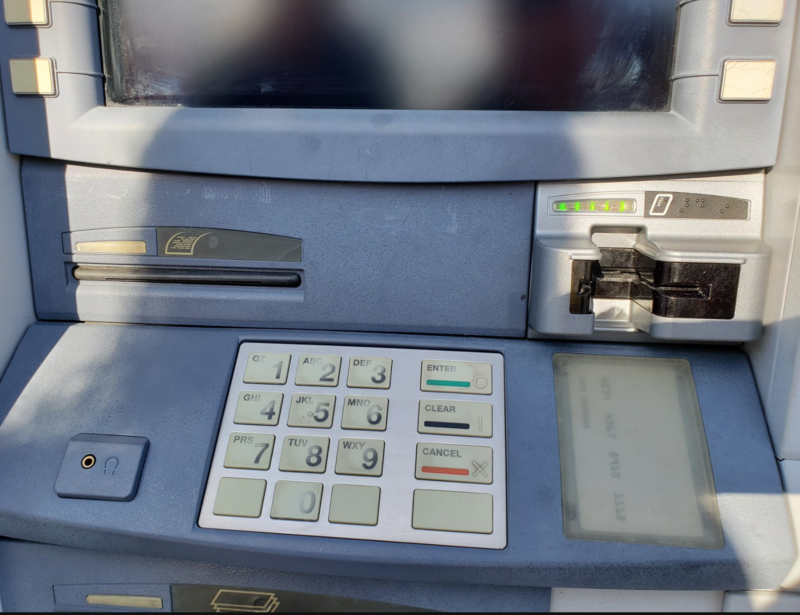 In a Facebook post, police posted eye-opening before and after photos of an ATM with a skimmer device hidden inside a machine found in Broadview Heights. This is what the inside of a skimmer looks like. The black square is the battery pack to power the camera. Circuit board with a memory card is used to save the video captured by the camera which is located directly below the memory card. Photo: The Broadview Heights Police Department. 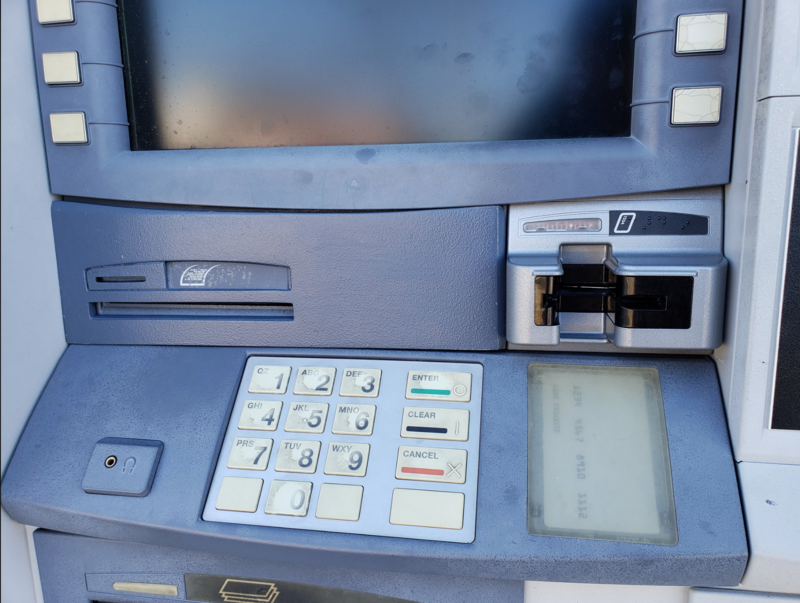 While using the machine, if it is difficult to slide your card in and out or you noticed a change in the ease of sliding your card, advise the owner of the device immediately. Front of the false plate. Photo: The Broadview Heights Police Department. Police highlighted areas where consumers should pay close attention to when at an ATM or gas pump. 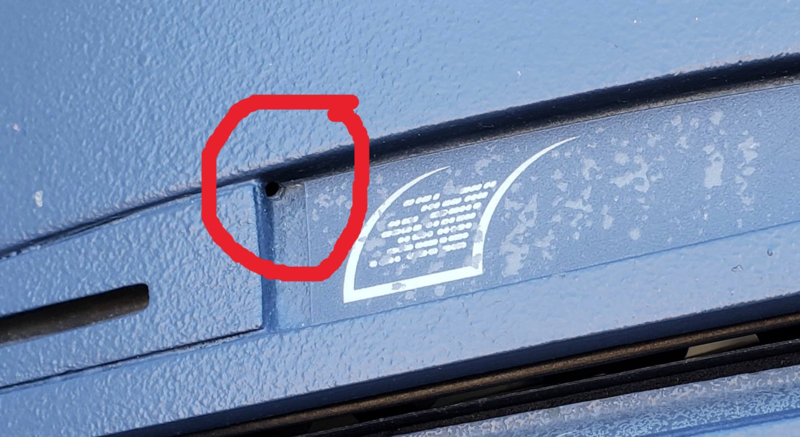 In the picture above, police have highlighted three of the main clues of the skimming device being in place. Red: Flat metal piece inserted into card reader slot. Green: Recessed gap where receipt prints. Orange: Unusual gaps and spaces around the false plate. 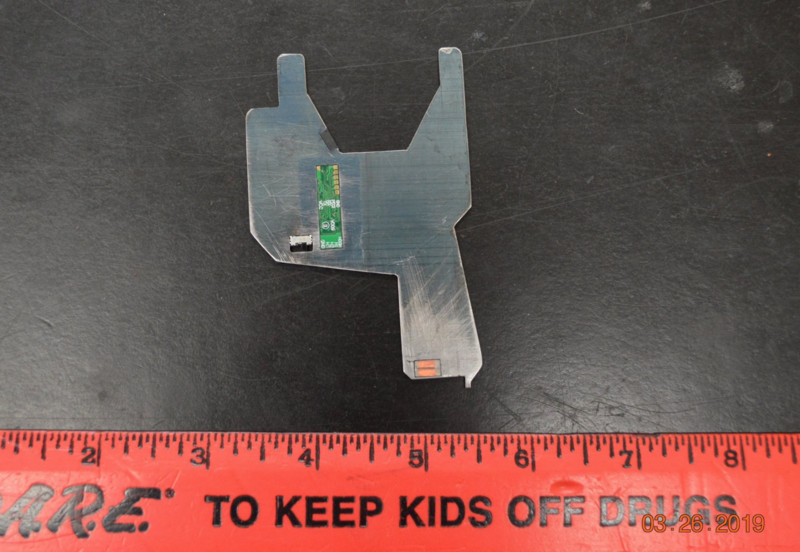 Metal device that was shoved into the card reader in order to scan the magnetic strip of any card placed in it. Photo: Broadview Heights Police Department. 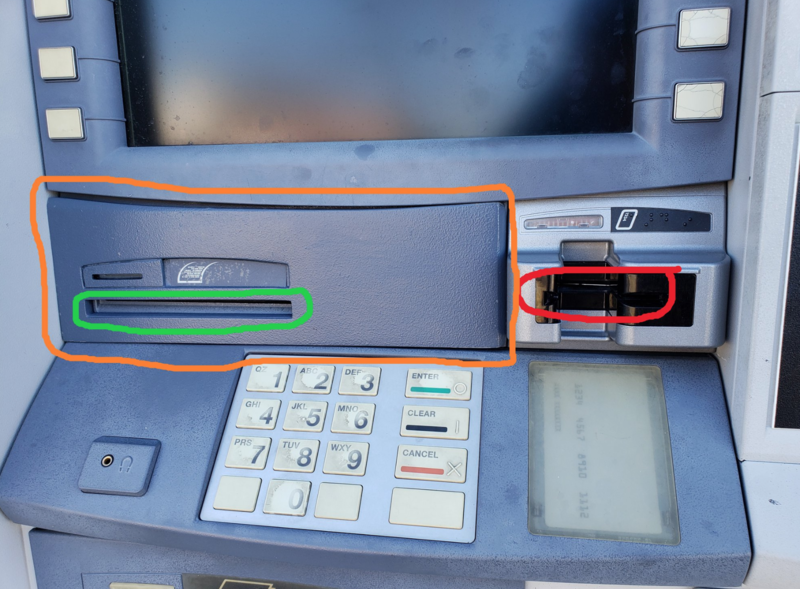 ATM with skimming device attached. Photo: Broadview Heights Police Department. A tiny hole appears near the receipt paper so a camera can be placed there to capture your information. Before using any device, card users should inspect the card reader and surrounding area for any loose pieces, parts that seem out of place or changes from the last time you used it, if you go to the same one. 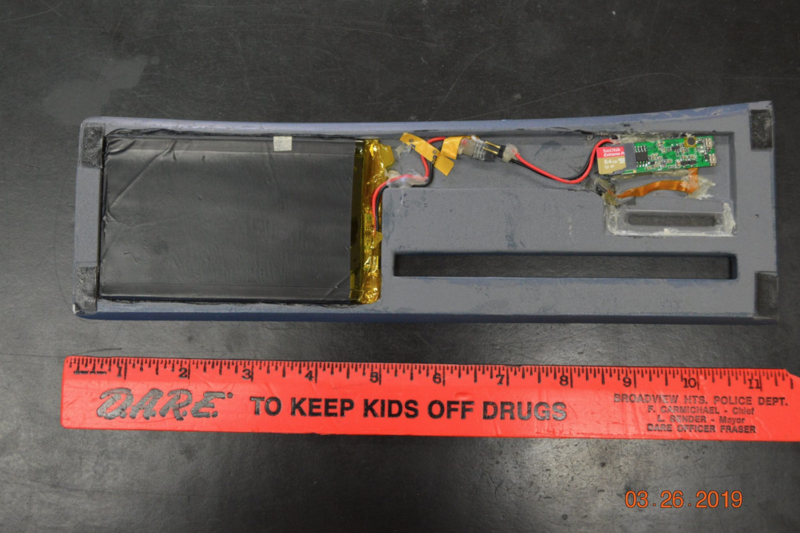 ATM after skimming device was removed. Photo: Broadview Heights Police Department.